Your blogging voice is heard. Epic Pro is a theme that features a bold title, even bolder colors, and centered content that looks good on any device. Find out all that you get with Epic Pro! With Epic Pro, you can upload a logo as well as change the text of the copyright area. All of these elements are easy to find in our theme options panel. The logo will replace the business text on the top of the page, so your brand identity is the first element that people see. The following content is published on our Epic demo site. 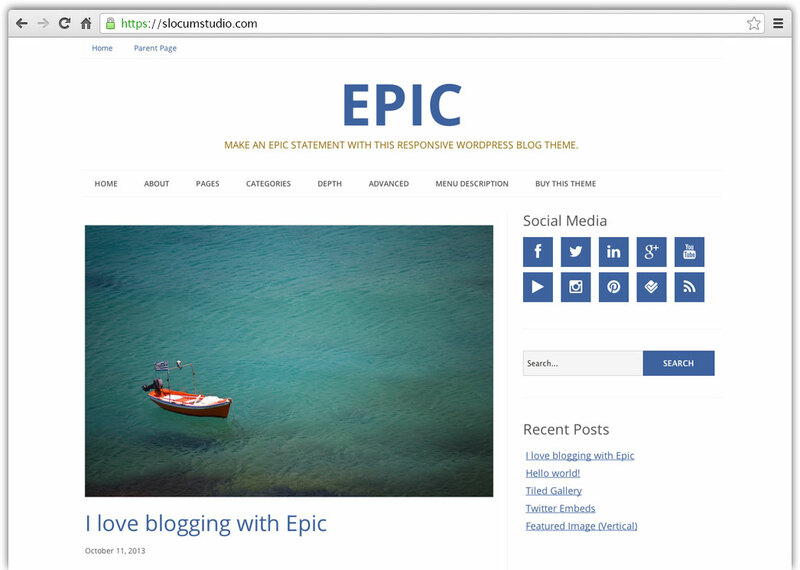 Epic Pro will allow you to build a homepage that you desire within minutes -- not days. Changing colors, font-sizes, and layout is a breeze in Epic Pro. You don't have to be a developer. Epic Pro uses our Slocum Framework at its core. This means it has flexible layout options. 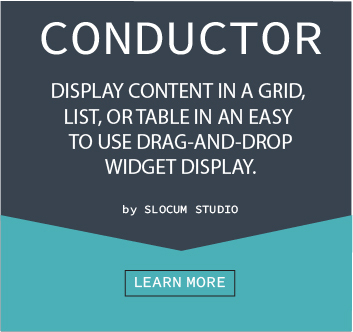 Epic Pro is fully compatible with our Conductor plugin. As we add more features to Conductor, Epic Pro receives the same benefits and unique content design displays we roll out. Epic Pro really shines when you leverage the live-editing and custom layouts of our Note plugin for your homepage layout. 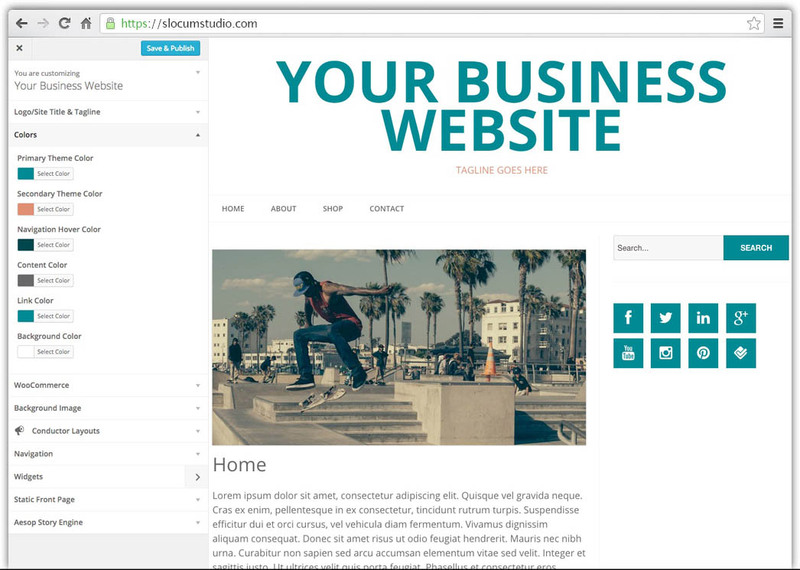 Epic Pro allows you to customize your WordPress website through the powerful front-end customizer. We provide support and help to clients in need. You get a full year of support included with your purchase of the theme and we do our absolute best to help! Support is handled with a ticket system. You will get a response within one business day at the very latest. We promise.